At the Centerville Place Health Center you can find physicians’ offices, urgent care, and laboratory and specialty services. These services are available exclusively to CHP members. View the physicians at this location by clicking the button below. At the Governor's Square Health Center you can find physicians’ offices and specialty services. All of these services are available exclusively to CHP members. View the physicians at this location by clicking the button below. Departments at this location: Member Services, Sales & Marketing, Premium Billing, Enrollment. The Physician Group of Capital Health Plan is focused solely on taking care of CHP members. Whether you are a long-time patient or new to their practice, every aspect of your patient-centered medical care is coordinated by a primary care physician dedicated to improving your health. The Physician Group of Capital Health Plan provides comprehensive health care for our patients of all ages, genders, and conditions. Our goal is to promote disease prevention and healthy living, so in addition to diagnosing and treating illnesses, we also provide preventive care, health risk assessments, immunizations, screening tests, comprehensive management of chronic conditions, and education on maintaining a healthy lifestyle. 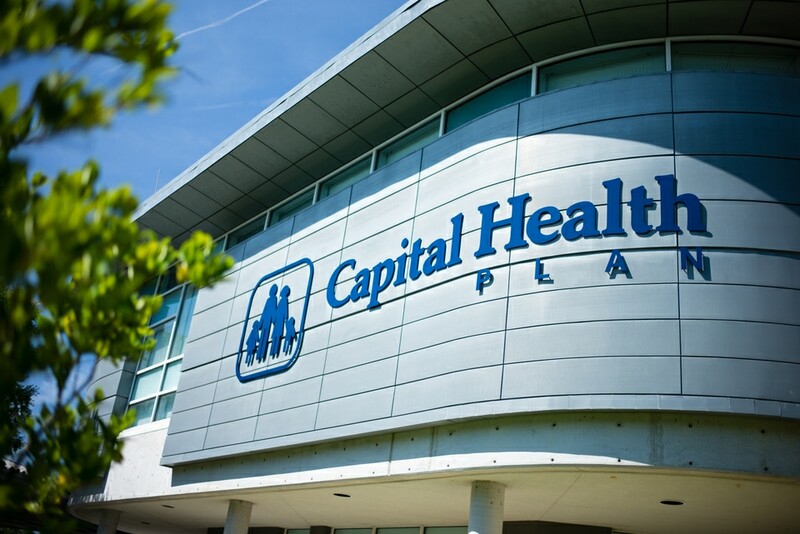 In addition, Capital Health Plan also has an extensive network of affiliated primary and specialty care physicians located throughout our service area who provide care to our members in their own offices. Capital Health Plan’s network also includes hospitals and other clinical facilities throughout the service area, and Centers of Excellence when medically appropriate. Access a list of our physicians on the Provider Directory page. Click on the link that best suits your needs, either by location or specialty. Click on a physician's name or picture for a brief biography, board certifications, languages spoken, and whether they are accepting new patients. Review the physicians accepting new patients and choose the one you would like to have as your health care partner. If you have trouble finding an available primary care physician, please call Capital Health Plan Member Services. After picking your physician, update your records either by calling Capital Health Plan Member Services or by making the selection in your CHPConnect account, which automatically sends a secure message to Member Services. NextMD is our patient portal that provides convenient, secure online access to the Physician Group of Capital Health Plan, allowing members to maintain an ongoing relationship with their doctor and practice staff. Sign up for or access your NextMD account at NextMD.com. Urgent Care is a great alternative when your primary care provider is not available. Upper respiratory infections such as colds, ear infections, bronchitis, and sore throats. Minor but acute cases, including fever, nausea, vomiting, and urinary tract infections. Minor trauma, including ankle sprains and cuts. Monday - Friday: 11:00 a.m. to 10:00 p.m. Weekends: 9:00 a.m. to 8:00 p.m. Call the Urgent Care office at (850) 383-3382 for an appointment before coming in. Calling is necessary to reduce the time you wait. The Urgent Care office is not a walk-in clinic. Our Imaging Centers offer comprehensive services including digital mammography and ultrasound at our Governor’s Square location and digital X-ray at both locations. Eye Care of Capital Health Plan provides comprehensive eye care services for Capital Health Plan members. Eye Care of Capital Health Plan has board-certified optometrists and two locations. Treatment of eye diseases, eye emergencies, eye infections, etc. Since the Capital Health Plan Colon Screening Program debuted in 2002, colon screening participation has increased from 48% to 84% in 2017. Make this the year you join the 30,500 members who are current with their colon screenings. For some this will mean your first colon screening and for others it will mean updating your participation. But everyone age 50-75 should be screened, and African Americans should begin screening at age 45. Your physician may sound like a broken record with frequent reminders to stay up to date with colon screening by doing stool testing and periodic colon exams (flexible sigmoidoscopy — "flex sigs" or colonoscopy). These reminders have helped more and more members participate in colon screening each year and have also made Capital Health Plan’s Colon Screening Program the second highest in the nation for Colorectal Cancer Screenings*! Colon screening participation is easier than ever. With a stool testing kit, you can collect your sample at home and return it by mail, or deliver it to one of our Capital Health Plan Health Centers. For the test, only one small sample of stool is required and there are no dietary or medication restrictions. Afterwards, the test result is mailed directly to you. A visual look at the colon with a slender, lighted tube is important to detect and painlessly remove growths before a cancer develops. You can call the Colon Screening Program at 850-523-7350 for information about having a colon exam. In celebration of Capital Health Plan’s Colon Screening Program’s success, we’d like to remind everyone to be proactive toward colon cancer screenings. Capital Health Plan is actively involved in the health of its members and hopes to one day find a cure for colon cancer. Learn more about the Colon Screening Program. Stay healthy and participate in colon screening for the prevention and early detection of colon cancer. Get in the fight; it’s your life. *The source for data contained in this publication is Quality Compass® 2017 and is used with the permission of the National Committee for Quality Assurance (NCQA).Quality Compass 2017 includes certain CAHPS data. Any data display, analysis, interpretation, or conclusion based on these data is solely that of the authors, and NCQA specifically disclaims responsibility for any such display, analysis, interpretation, or conclusion. Quality Compass is a registered trademark of NCQA. CAHPS® is a registered trademark of the Agency for Healthcare Research and Quality (AHRQ). Infusion Therapy deals with all aspects of fluid and medication administration, through a vein in the arm or directly into the skin. Special infusion pumps can be used for this purpose. Advantages of coming to CHP’s Infusion Center include ease of access for you and your provider, a comfortable setting, and a friendly staff. This procedure is performed to help facilitate the treatment and management of certain medical conditions. Your skin is very important to you and to your overall health. Capital Health Plan is pleased to offer our members options for the treatment of skin and wound conditions at our Centerville location.The Skin and Wound Care Center offers patients options for treatment of most skin conditions as well as most wound care services. The Center for Complex Care seeks to provide a comprehensive approach to the medical care of Capital Health Plan members with certain chronic conditions. Our doctors are internal medicine physicians who support the member with the physical, social, and emotional aspects of chronic illness so that improved outcomes are more likely to be achieved. The patients who are invited to enroll in the Center for Complex Care are identified by Capital Health Plan as having a combination of multiple chronic conditions, such as diabetes, heart failure, coronary artery disease, etc., and are considered likely to benefit from this intensive approach. All intended invitees to the program are reviewed and approved by the patient’s current primary care physician before invitations are sent. At Capital Health Plan we realize that it is very difficult to be all that you can be and exercise as you know you should when suffering from acute or chronic pain syndromes. While in the past patients were typically referred to orthopedic surgeons for diagnosis and management of these conditions, many if not most of them are non-surgical problems or at least have potentially viable non-surgical solutions. Those options can be skipped or minimized when consulting with a surgeon. Therefore, in 2007 Capital Health Plan opened an alternative clinic at the Governor’s Square Health Center emphasizing non-surgical solutions when appropriate for many musculoskeletal conditions. 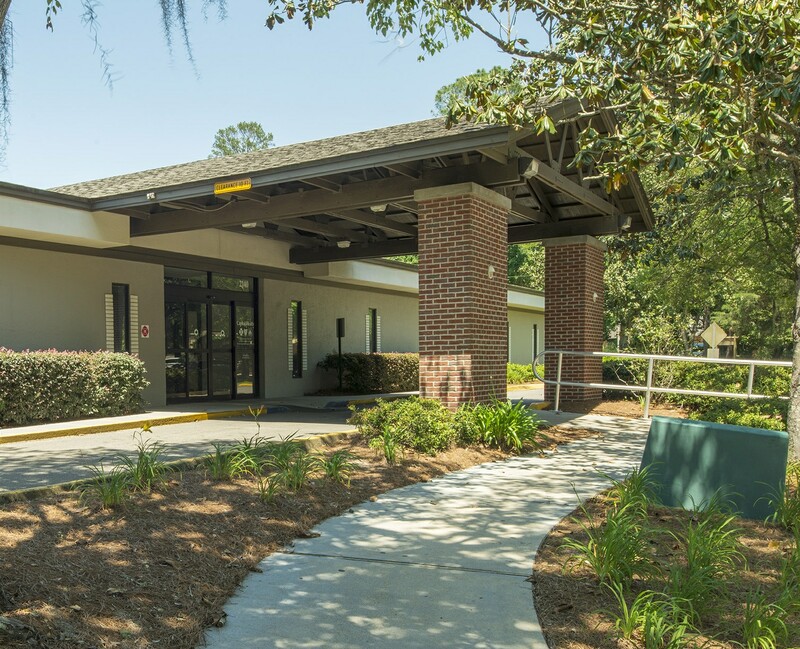 We see patients by referral from the Physician Group of Capital Health Plan, as well as Capital Health Plan members whose primary care physicians serve in the Family Medicine Residency program at Tallahassee Memorial Healthcare. Initial consultations typically take less than two weeks from the time of referral and are affordable for the patient because we collect only a primary care copayment. Great care is taken to minimize any pain associated with injection by using topical ethyl chloride, very small bore needles and copious injectable anesthetics. We see patients with virtually any kind of musculoskeletal complaint except for those originating in the spine, from young to middle-aged athletes to older patients with debilitating arthritic conditions. We offer a full spectrum of injectable alternatives. However, we do not offer cervical, thoracic, or lumbar epidural injections or peripheral nerve blocks/ablation. If you are interested in receiving any of these services, please see your primary care physician for a referral. We also contract with LabCorp for all of our other laboratory testing needs. We have LabCorp testing centers conveniently located at our Centerville and Governor’s Square locations. The Physician Group of Capital Health Plan believes it is important to have skilled and experienced triage nurses ready to help you with your health care needs. Our patients may access the triage nurses by calling their primary care physician’s office phone number and following the prompts for a same-day office visit appointment. After hours, patients may also call directly to Urgent Care of Capital Health Plan (850-383-3382) to speak to a triage nurse. If you don’t have a CHPConnect account, register at CHPConnect or call (850) 383-3311.